We offer residents large one bedroom, private one bedroom cottages, two bedroom dual-master, two bedroom with loft townhomes, and three bedroom townhome floor plans to choose from. Once inside, you’ll find touches that enhance the opulent lifestyle you desire most. 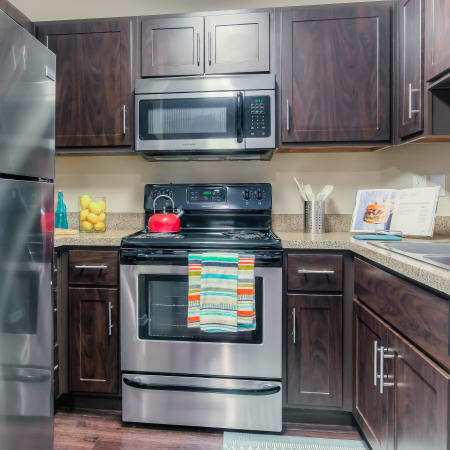 From an abundance of closet space to newly renovated interiors with plank flooring, full-size washer and dryer, stainless-steel appliances, and brushed nickel finishes, you’ll find exactly what you’re looking for a Tuscany Village Apartments in Ontario, CA. You don’t have to travel overseas to enjoy the architecture and luxury of the Mediterranean. 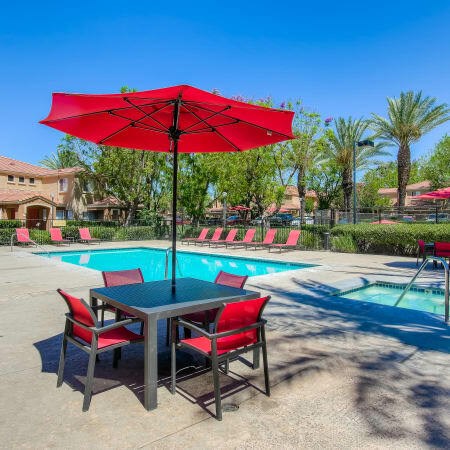 At Tuscany Village Apartments, we bring these stunning features to Ontario, CA, set among the palm trees for a truly unique living experience. 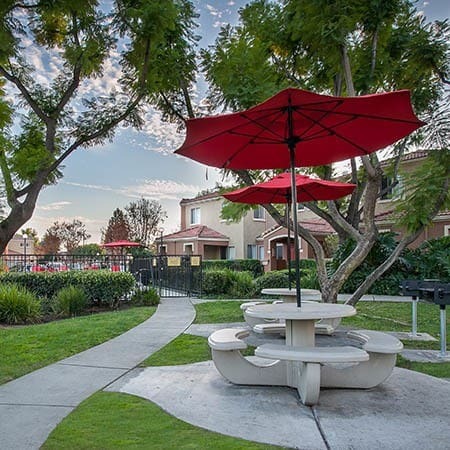 Enjoy the lush landscaping surrounding our apartments in Ontario, as well as views of snow-covered mountains. When you call Tuscany Village home, you’re choosing a luxurious oasis to return home to each night. 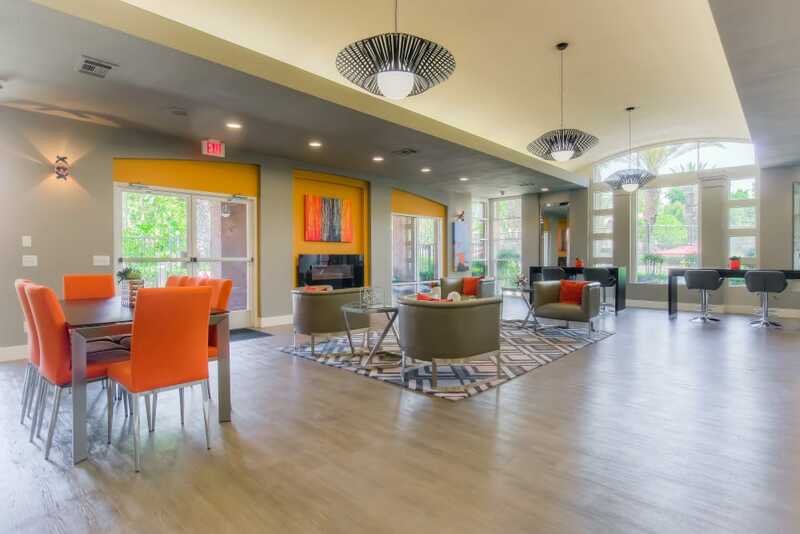 Not only are we proud of our newly renovated interiors, our community amenities allow us to stand out among the other apartments in the area. With two sparkling swimming pools, we make it easy for you to find the perfect space to relax and soak up the sun. Trying to squeeze in a workout before heading out for the night? 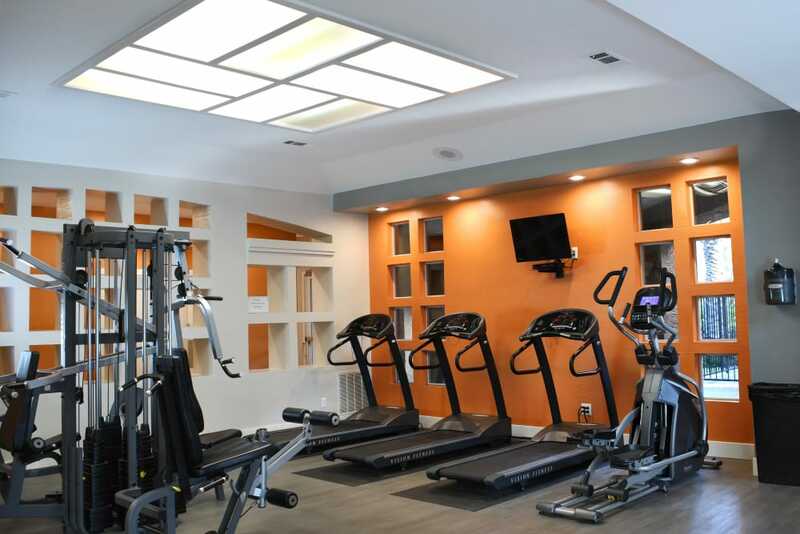 Whether you prefer sweating away your worries during a workout, or afterward in our his-and-hers saunas, you’ll find your oasis at Tuscany Village Apartments. Looking for apartments in Ontario with all of the features and amenities you desire most? Browse photos of Tuscany Village Apartments and see what your life could be like here. Contact us to schedule your personal tour. Sit. Stay. 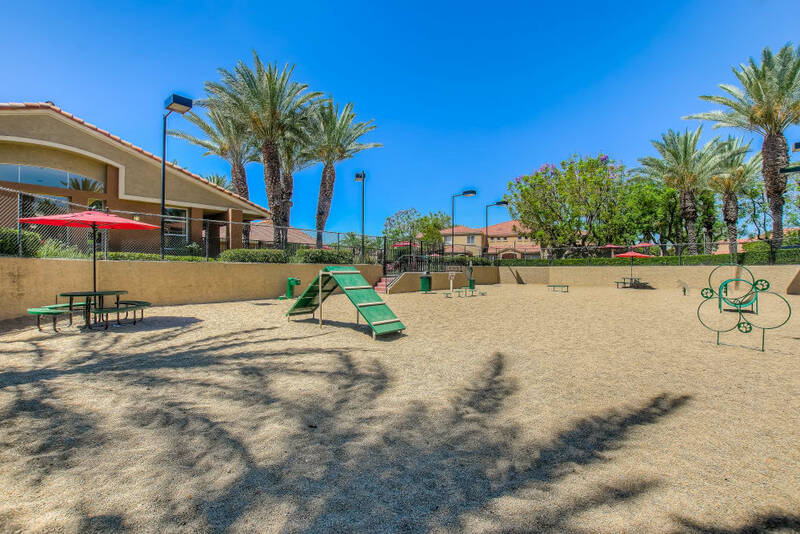 Roll over to Tuscany Village Apartments for pet-friendly apartments in Ontario, CA. We know pets hold a special place in the hearts of our residents, which is why we welcome your cats and dogs with open arms. 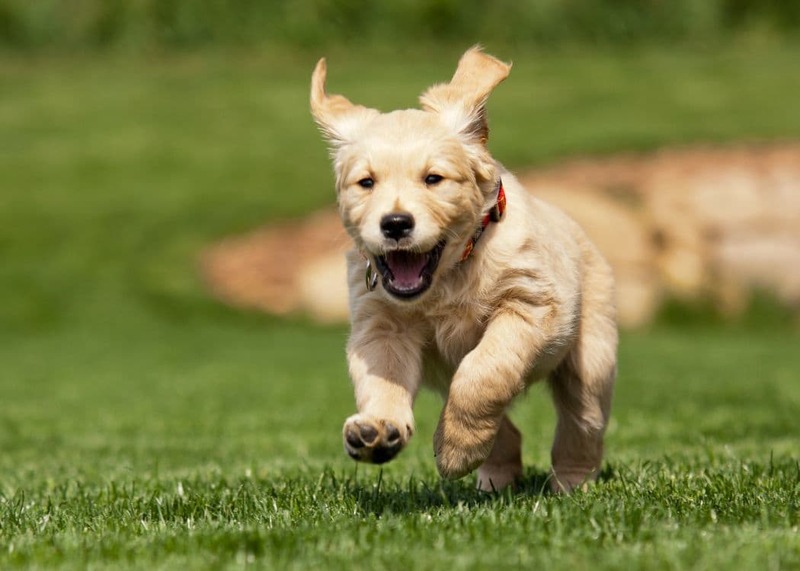 We have an on-site pet exercise park, which allows your canine companion to exercise and socialize with other community pets. Pets are welcomed with an additional deposit and monthly pet fee. Contact us to learn more about our pet policy. Learn more about the benefits of Tuscany Village Apartments. Speak with a member of our friendly leasing staff to schedule a personal tour of our community.